Strong relationships are the lifeblood of a strong family business. After working with families all over the globe I’ve identified five key attributes to creating strong relationships. Let go of the past the best you can. One of the most common things that trips up family businesses is their inability to let go of past history and childhood roles. Letting go of the past is never easy but can be done with a constant, focused commitment to creating a healthy future and not dwelling on an imperfect past. Learn to have honest, open communication. It’s really hard to be able to speak your truth to people when you know it might cause some stress and discomfort. Having frank dialogue is like any other muscle you build, it takes practice but it can be done. Learn to forgive and move on. Forgiveness is a gift to give to others and yourself. People make mistakes and you have a choice to either dwell on it, get stuck in it, or choose to forgive and move forward. Learn to accept each other’s differences in work styles. Great teams and great partnerships are made up of people that have differences. The goal is to appreciate and honor each other’s differences. Stay resilient and stay in it for the long run. Nothing great was built without hard work, sacrifice and determination. Some of the best family business teams that we worked with were forged through incredible difficulty. Stay with it and you will create an extraordinary and sustainable family business. 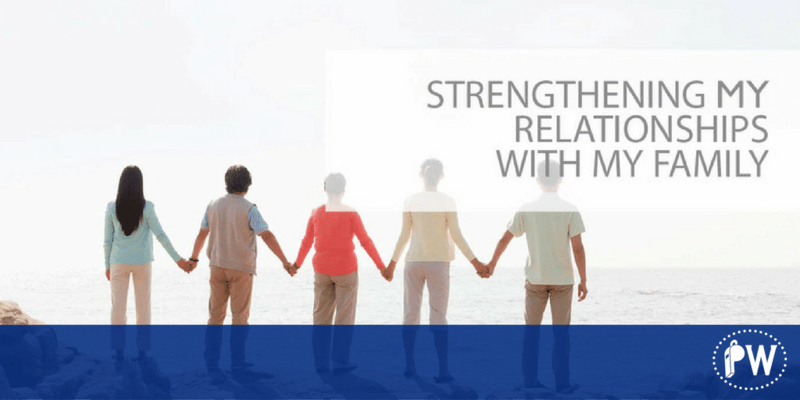 Learning to build healthy relationships is one of 25 exercises that are a part of our Family Business Survival System.